Insist that the Investment Adviser provides advisory strictly on the basis of your risk profiling and take into account available investment alternatives. More and more retail investors are turning to mutual funds as an investment option over the past few years. Going by recent AMFI data, the total number of folios increased 25 per cent year-on-year to 790.31 lakh crore in October 2018 from 631.65 lakh crore in the same month last year. Further, the mutual fund industry received around Rs 7,900 crore of inflows through systematic investment plans (SIP) in October 2018, 42 per cent higher than last year. Overall, the assets under management (AUM) of the retail segment grew 14 per cent year-on-year to Rs 9, 73,676 crore in October 2018 against Rs 8, 55,449 crore in October 2017. With rising popularity of MFs, comes the threat of a bad case of mis-selling and mis-buying. 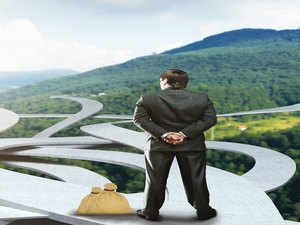 MFs after all is only one of the various investment options available and investing solely in them without proper planning may not be of much help. The role of an investment adviser (IA), is therefore important as goals, risk profiling should be at the forefront before making any investments. Sebi has released a list (as below) of Dos and Don’ts while dealing with investment advisers. The list is comprehensive and helps a newbie in understanding what all things to consider before making any investments and how to avoid a wrong piece of advice. 2. Check for SEBI registration number. One may refer to the list of all SEBI registered Investment Advisers which is available on the capital market regulator’s website and can be accessed here. 5. Always ask for your risk profiling before accepting investment advice. Insist that the Investment Adviser provides advisory strictly on the basis of your risk profiling and take into account available investment alternatives. 6. Ask all relevant questions and clear your doubts with your Investment Adviser before acting on the advice. 7. Assess the risk-return profile of the investment as well as the liquidity and safety aspects before making investments. 8. Insist on getting the terms and conditions in writing duly signed and stamped. Read them carefully, especially the parts on advisory fees, advisory plans, category of recommendations etc. before dealing with an Investment Adviser. An investment adviser has to get registered as an IA from SEBI and is governed under the IA Regulations. As an IA, one is supposed to only offer investment advice and cannot undertake any distribution or execution services. An investment adviser shall act in a fiduciary capacity towards its clients and shall disclose all conflicts of interests as and when they arise. Importantly, the IA has to act in the best interests of its clients and maintain an arms-length relationship between his activities as an investment adviser and other activities. What distinguishes an IA from others is that its advice is offered after thorough analysis and taking into account available alternatives based on risk profiling and suitability of the client. IAs charge a specific fee which can vary and can be decided between the IA and the investor. However, the rules allow IAs to offer distribution or executions services, in which case the IA has to disclose to the clients about the remuneration structure. Such IAs are known as fee-based IAs while those purely working on fee are called fee-only IAs. As a mutual fund distributor, one has to get registered with the Association of Mutual Funds in India (AMFI) and can only provide basic advice to its mutual funds clients incidental to its distribution activity. Incidental activities with respect to distribution of mutual funds means providing basic advice pertaining to investment in mutual fund schemes limited to such schemes being distributed by him to his investors or any other MF product. So, the next time you are about to invest either online through an MF portal or offline through a distributor, adviser etc, ensure the structure of the entity. It will help you take better calls with your money.